Who is it climbs the summit of the road? Only the beggar bumming his dark load. Who was it cried to see the falling star? Only the landless soldier lost in war. Great velour cloaks of darkness floated up. A lump of bitter gristle that refused. 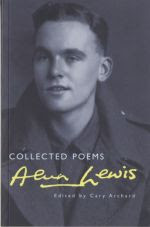 But Lewis became obsessed with “the encircling dark”. The “bitter gristle” of Life was increasingly less attractive than “the darkness that there is” figured as deep and containing. In ‘The Jungle’ he wrote of “the black spot in the focus”, an image that came from looking up at the Sun through the enclosing trees, but it also becomes a metaphor for the blotting out of meaning. He saw “The face distorted in the jungle pool/That drowns its image in a mort of leaves”. Here in “the cold orbit of an older world” he lived as a ghost amid a “green indifference” and darkness awaited in the bite of a snake, the swipe of “annihilating paws” or the blow from a “flashing sword”. Similar themes emerge in the short stories he wrote at this time, although the medium of prose seemed to better facilitate the confrontation and rejection of the impulse to embrace Darkness. In the poems the metaphysical engagement with Darkness seems to lead out of the world as the parallel engagement in the stories seems to affirm the world’s values. In ‘The Jungle’, “the humming cultures of the West” seem far away and fade further as the poem develops. In a story written at about the same time, ‘The Orange Grove’ a soldier becomes totally lost, driving with the corpse of his friend next to him on what seems like an increasingly meaningless journey except that his need to hand in the dead soldier’s identity tag remains his sole purpose. In the poems such purposes cannot be held onto. But the poet in many ways seems less defeated than the prose writer who sustains himself by such tokens of meaning. For the poet, the landscape of Darkness was fully worked out before he set foot in India and provided it own deeper sense of purpose. In The White Goddess, Graves cites Keats’ ‘La Belle Dame Sans Merci’, Spenser’s Phaedria and Malory’s Nimuë as literary analogues to the Goddess who carried the ailing ego into welcome oblivion. Though he says that “Coleridge had a stricter poetic conscience than Keats” as his presentation of the Nightmare ‘Life-in-Death’ in The Ancient Mariner does not honey the bitter pill in the way Keats does. 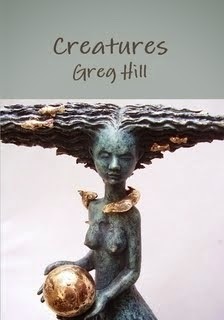 As for Alun Lewis, Graves repeats part of the quotation about “the single poetic theme” in his Introduction to The White Goddess, asserting that for Lewis “there was no choice”. With the last kindness of a foe or friend?